For preclinical studies, we employ patient-derived GBM xenografts (PDGX) and stem cells isolated from these xenografts. 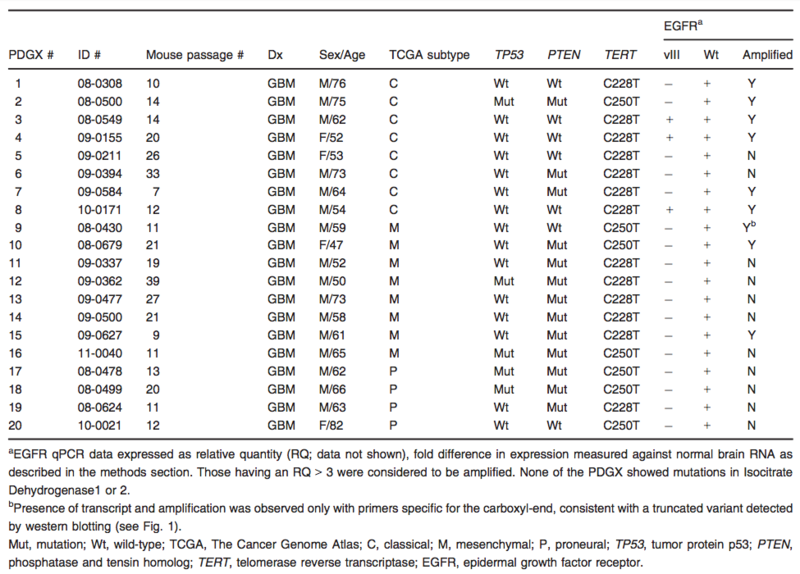 We have characterized a panel of twenty PDGX lines and have shown that these PDGXs retain the proteomic profile of the parent tumors. These twenty PDGX lines represent the most well characterized PDGX lines available anywhere in the world. We are in the process of characterizing an additional panel of seventeen PDGX lines, giving us a total of thirty seven PDGX lines. Our panel of thirty-seven PDGX includes nine PDGX that express EGFRvIII; a genetic abnormality seen in about 20% of GBM patients. Our collection of nine PDGXs carrying EGFRvIII is one of the largest and we are in a unique position to develop therapies for GBM patients carrying this EGFR variant. In addition, our lab utilizes glioblastoma stem cells as an additional preclinical model to find effective therapies. We grow these GBM stem cells as neurospheres in neural stem cell media with added bFGF and EGF. We have also confirmed the presence of stem cell markers, such as SOX2, in our neurospheres. Our lab is working to develop preclinical models for glioblastoma brain tumors found in adolescents and young adults (AYA). This group of tumors is biologically distinct and unique from glioblastoma tumors seen in older patients. Thus, this group warrants its own preclinical models to develop effective therapies. A newly uncovered misconception with this age group is that although AYA traditionally have significantly longer survival than older patients, while the the older age group’s cancer survival has been improving overall, AYA has not experienced any increase in survival and now may have worse survival than the older patients. This is likely due to improper models to develop effective therapies for this age category. 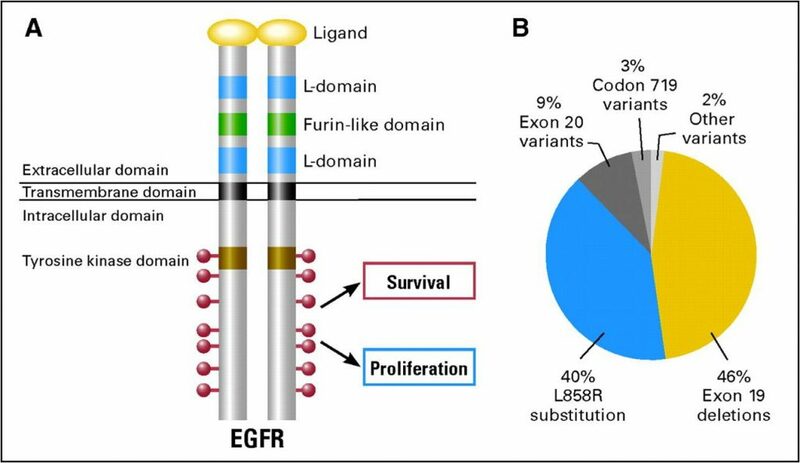 Proteomic profiling of patient-derived glioblastoma xenografts identifies a subset with activated EGFR: Implications for drug development. Kristine E. Brown, Gustavo Chagoya, Shawn G. Kwatra, Timothy Yen, Stephen T. Keir, Mary Cooter, Katherine A. Hoadley, Ahmed Rasheed, Eric S. Lipp, Roger Mclendon, Francis Ali-Osman, Darell D. Bigner, John H. Sampson, Madan M. Kwatra. J Neurochem. Published in final edited form as: J Neurochem. 2015 June; 133(5): 730–738. Published online 2015 February 12. doi: 10.1111/jnc.13032.